We could almost hear the voices of the early Woodland and Mississippian Indians that settled on the top of the Millstone Bluff over 1500 years ago when we visited this historical site. 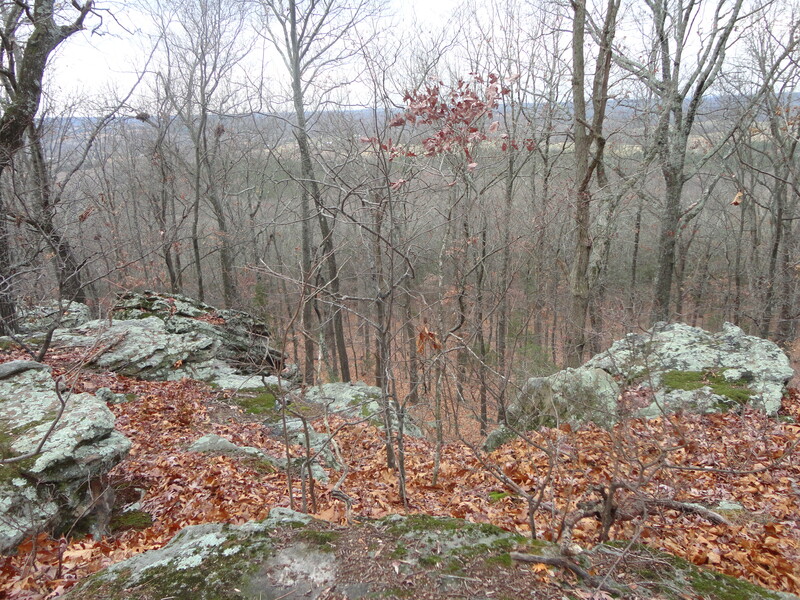 Located on the edge of the Shawnee Forest near Eddyville, Illinois, my friend Rose and I ventured up the trail to the top of the bluff to see where these prehistoric Native American settlers lived so long ago. Besides the depressions in the soil that are visible to visitors after reaching the top of the bluff, there is also the village cemetery and some of the ancient resident’s artwork. Overlooking the bluff, we saw traces of the rock art or petroglyphs. We felt our mortality and this was a reminder that we are not the first nor will we be the last to leave footprints where we walk.